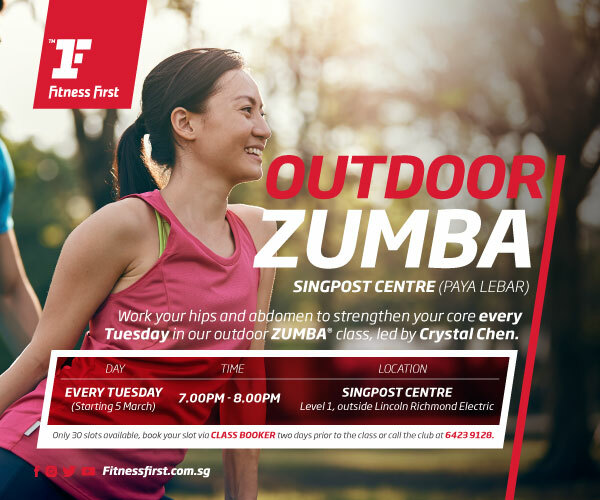 Work your hips and abdomen to strengthen your core every Tuesday in our Fitness First outdoor ZUMBA® class, led by Crystal Chen. Registration: To register, call Fitness First SingPost Centre (Paya Lebar) at 6423 9128. Only 30 slots available.